I have been playing professional hockey for the past 8 years and training hockey players for the past 5 years. I have played with the Phoenix Coyotes, Springfield Falcons, Minnesota Wild, Houston Aeros, Toronto Maple Leafs, Toronto Marlies, and currently playing for Ambri-Piotta in the Swiss Elite League in Switzerland. During the off-season I train high school hockey players (grades 9 - 12) in my hometown of Apple Valley, Minnesota. We are currently training 50 hockey players, doing both off-ice workouts and on-ice skating. I was first introduced to Ironwear Products while playing for the Phoenix Coyotes and haven’t used or found a better product for training ice hockey players since. 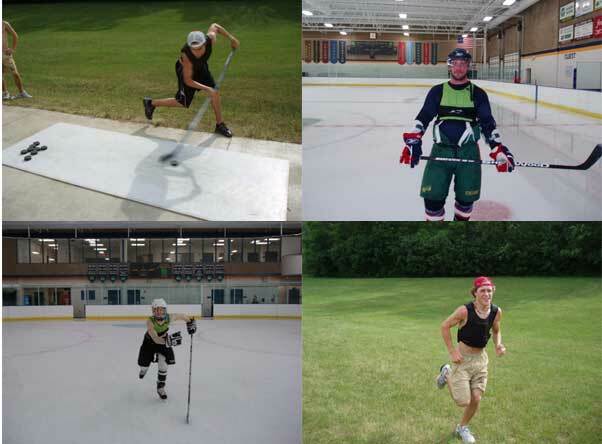 We use the weight vests for both on and off ice workouts. We can use them in almost every aspect of our workouts; agility, plyo’s, sprinting, weightlifting, and skating. The use of Ironwear Products has not only helped myself elevate my game, but increase the productivity of the younger athletes I have been training. I am looking forward to expanding our specialized training program to different parts of the country in the near future.